Location, location! Williamson Co Schools. Just 6 mins to shops, restaurants, CoolSprings Galleria & Hwy 65. 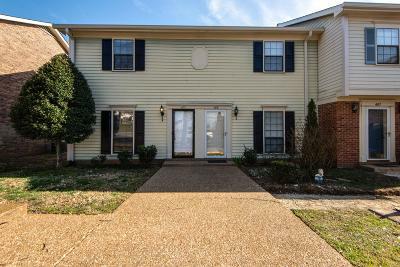 Beautifully maintained end unit townhome. New paint, carpet & stunning hardwoods. Fireplace in living room, large kitchen w/ abundance of cabinets & granite counters. Private patio w/ attached shed. Right across from pool, clubhouse, basketball courts! For owner occ. or rent! Folks are renting similar units for $1,300-1,450/mo. Won't last long!